RP & Associates were amongst the many exhibitors at the 123rd Canton Fair and we showcased some of our most popular products such as the Grub Tub and the Glacier Bag. We also showed the brand new Eternal Rose Glass, and we must say, the response to all of our products was overwhelming! Buyers from all over the world were lining up, waiting to get a hold of their own Grub Tub or Glacier Bag sample and to hear how these amazing products can increase their profit margins and raise brand awareness while doing so. The China Import and Export Fair, also known as the Canton Fair, is the country's largest trade exhibition. The fair began in 1953 and is now held twice a year in autumn and spring in Guangzhou, a port city near Hong Kong. Exhibitors and buyers come from all around the world to do deals on more than 150,000 different types of products, including consumer goods, textiles, decorations, medicine, electronics, and machinery. Fun fact: This year's Canton Fair will feature 60,475 booths and take up a total of 1.185 million square meters — that's the size of 71 Walmart Supercenters. The Glacier Bags are continuing to add new locations under their name as they are now at full display at Sunoco and several other convenience stores owned by the Schafer Oil company in the region of Ohio. The Glacier Bag enables you to increase sales of all wine, beer, sodas and spirits in a custom bag designed specifically to your brand. The Glacier Bags provide customers a convenient way to chill and/or gift bottles, cans or 6-packs. Unlike styrofoam coolers, the Glacier Bag is durable, reusable, easier for the customer to handle, takes up less storage space and can be fully custom branded. Can Tail at Live Nation Concert! 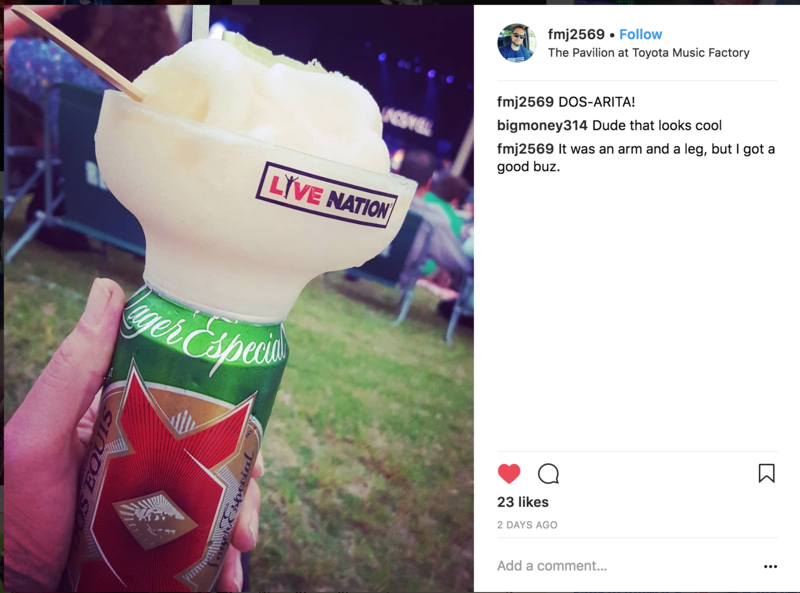 We're proud to say that our very own Can Tail is being used at all Live Nation events throughout the United States! It's just perfect for events like this as it fits any standard size can, and thanks to our innovative new design all you have to do is: pop on the cantail, pour your mixer and enjoy your concert! The Grub Tub is making headlines on social media again! 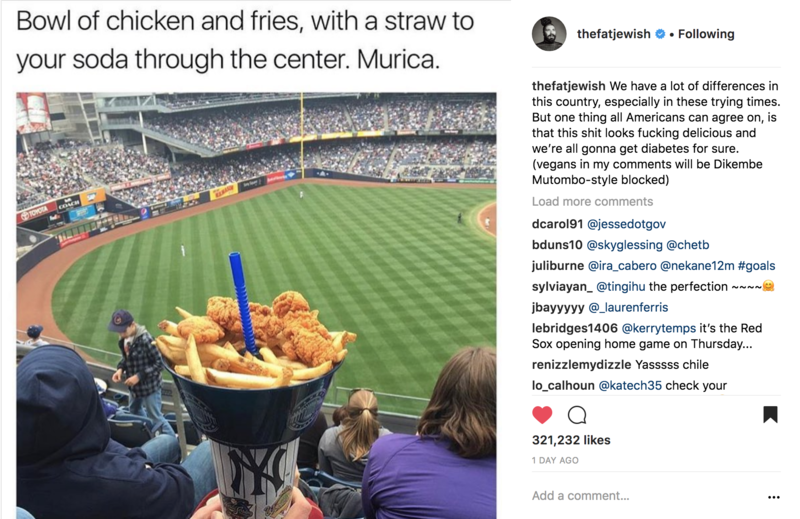 This time our revolutionary product was featured on one of most popular Instagram pages @thefatjewish (with over 10m followers) and the Grub Tub got over 310,000 likes and almost 10,000 comments! The famous Instagram page took it to the next level when describing how much they love our Grub Tub saying that we might have a lot of differences in the US, but one thing all Americans can agree on is that the Grub Tub looks freakin' delicious! 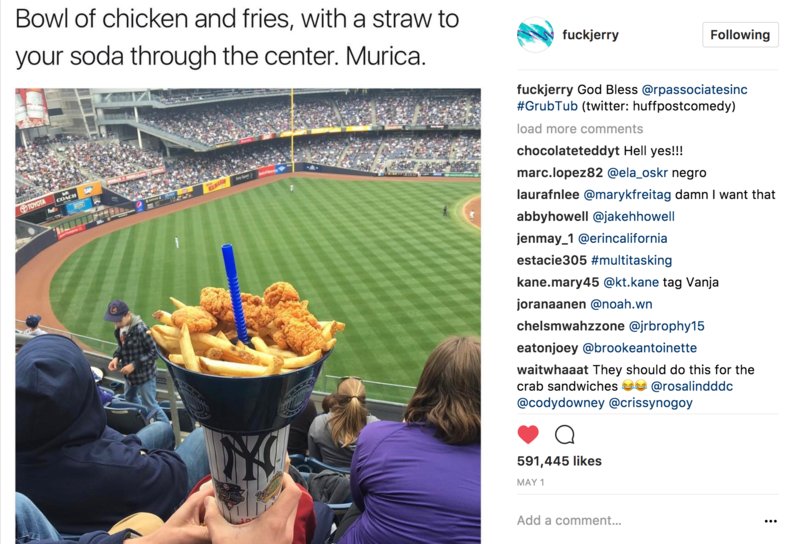 In addition to this post, the Grub Tub was featured on social media many times in the last few months and some posts got more than 600.000 likes! 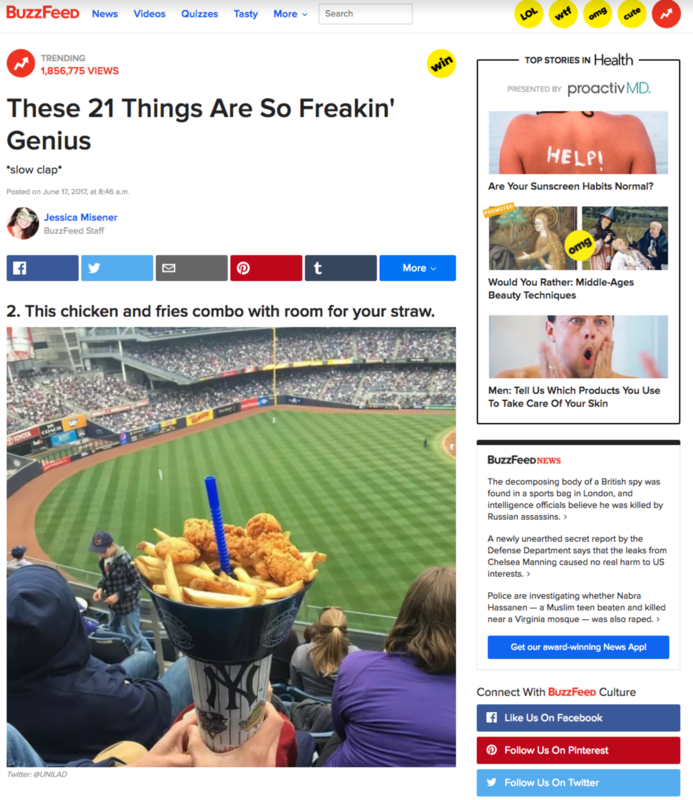 Prior to this post, BuzzFeed featured it as #2 on its list of, 21 Things Are So Freakin’ Genius. In addition to the BuzzFeed highlight, we were a hit on popular Instagram and Twitter accounts, garnering over a collective million likes, shares and comments. Thank you for your support that has made all of this possible. During the "VIBE Conference" in San Diego we learned how big of an impact 3rd Party Delivery Services have on the larger chain restaurants, and the increased sales opportunity by including alcohol and beverages within the offers provided by this rapidly escalating trend. We have developed a new product that provides the ultimate solution for "on-the-go" beverage and alcohol delivery that help increase sales, increase brand recognition, and increase your customer's delivery experience, and that will leave them coming back for MORE! The Glacier Bag is the first ever bag with a twist off lid with a handle for easy carrying and customizable bag size, large enough to fit any 750 mL bottle or 6 pack of beer and ice, for convenient portability delivery services. Reusable - so your customer's can use their portable cooler bag / beverage dispenser bag anytime, anywhere, any place, continuously promoting your brand along the way. 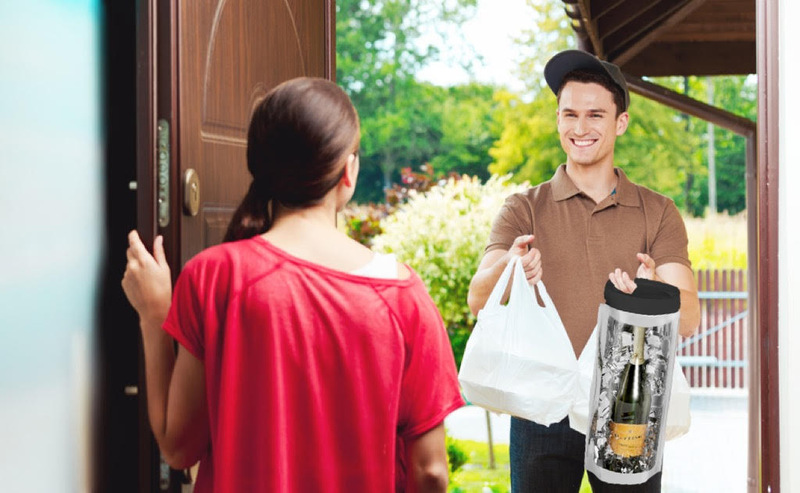 Fill with Ice - to deliver the bottle ice cold by the time it reacher your customer's door step. Full Color Graphics - to increase brand awareness. Option to Add a Spigot - on the bottom for your customer's to use as a beverage dispenser. Add Recepies - printed on the bag to promote your restaurant's favorite cocktails and provide access to the same adult beverage experience from the comfort of their own homes. For pricing and more information about the Glacier Bag and many more product call us at (310) 372 9709 or email at info@rpassociates.us!